I was able to participate in archaeological lab work this week and I do not think I have ever been so excited to look at broken fragments of beer jugs like the one below. Looking at a variety of artifacts from an excavation site in Annapolis, Maryland, I saw bags containing fish bones and mammal bones and at first look they all look the same. However, my professor was an expert in identifying bones and was able to explain distinctions between them. Small details like size and curvature along the bone edges can indicate to which animal a bone belonged. Over a course of two hours, I got pretty good at identifying pig toes. Also, we looked at different glass and we learned that vessel glass was most likely used as a container because it is identifiable by its shape. It is rarely flat like window glass. Lab work was a chance to conduct cultural and historical interpretation from the artifacts we examined. For example, pieces of a jug we looked at like the one below shows agricultural adaptation specifically because of the small opening at the top. 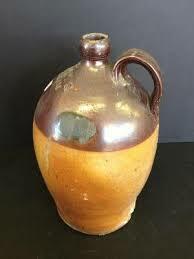 We can likely infer that this type of jug was used for liquids or the people who owned this jug wanted to regulate exactly how much they wanted to come out of the jug or put in. This piece of pottery is technological evidence that with analysis can give clues on the activities of the community during a time. An archaeologist can have an idea of the tool and pottery advancement, which can be telling of the social systems, and ideology of the people in the past. The purpose of lab work is to reconstruct the past and archaeologists use analogy to help. In archaeology, analogy is used to infer the identity of and relationships among archaeological data by comparing them with similar phenomena documented in human societies that are living or recorded historically (Ashmore, 180). Unknowingly, I was using analogy during my time in the lab. When examining the beer jug, I was comparing it to what I had previously seen today’s society. 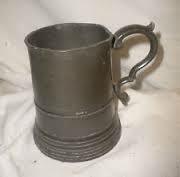 I thought about the evolution of the beer jug turned beer bottle and noticed that because of its similarities in form, reconstruction was easier to understand. Artifacts provide information about societies’ cultures, environments, people, and animals. Artifacts are common but it is the history behind the item that reveals the value; thus, all artifacts should be respected and deemed valuable. For further information on archaeology analogy, check out Wendy Ashmore’s and Robert J. Sharer’s book Discovering Our Past: A Brief Introduction to Archaeology. Ashmore, W.J., and Sharer, R.J., Discovering Our Past: A Brief Introduction to Archaeology. 6th Edition. This entry was posted in Fall 2013, Uncategorized and tagged artifacts, Career, lab work by cithomas. Bookmark the permalink.